Small Oil Press and Big Oil Press, Which is Better? 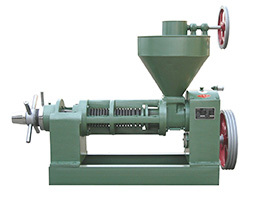 When choosing an oil press, you should take a lot of factors into concideration, for example, how much money you are going to invest, the raw material you are going to process and your expect daily capacity of the press etc. 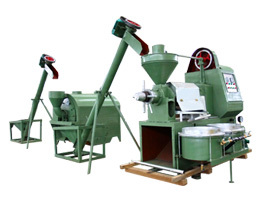 Many people are hesitate to select an oil press, because they do not know to choose a small capacity oil press or a big capacity oil press machine. Which on earth has better performance? Here we take YZS-130 small screw oil press and 200A big capacity oil press for example. 1. The YZS-130 small oil press machine takes pressing ring design; The 200A big oil press is equiped with the pressing bars. The YZS-130 oil press power consumption is high. Power: 15KW. 18.6KW. 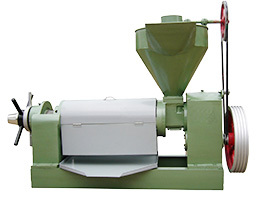 But for hard oilseeds, the performance of the 200A is obviously better than YZS-130. 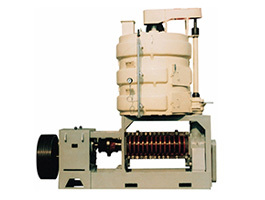 The power of 200A big oil press is relatively low. The power is 18.6KW, and is specially suitable for hard oil seeds. The performance of the 200A is obviously better than YZS-130. The 200A oil press machine extract oil more smoothly. Not easy to occur blocking. More resilient for the oilseeds range. 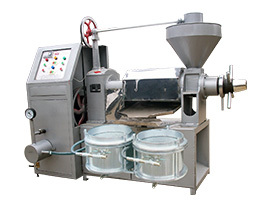 The YZS-130 oil press machine without cooking&insulation equipment, It will affect the oil out-put. There is one cooking&insulation equipment on top of the oil expeller, which can keep the temperature of raw materials, keeping the stable oil yield and smooth oil output. There are many obvious advantages of the small scale oil expellers, such as low cost,less place needed,convenient operation. Besides, it also can work perfectly without the steam and the large material loaded equipments, which is suitable for home producing.